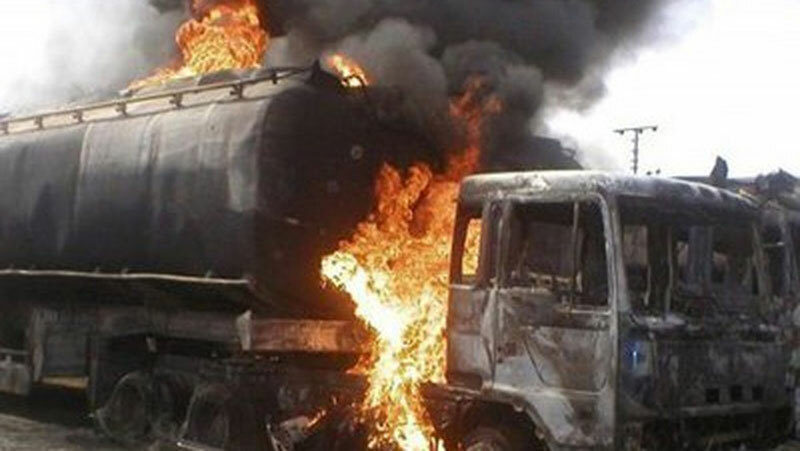 The death toll in the Anambra tanker fire has risen to seven, the police have said. Media reported the fire which started when a tanker carrying petrol fell at Amawbia Roundabout in Awka, the state capital, at about 10 p.m. The petrol in the tanker also flowed freely through a drainage channel, spreading the fire further. At least eight other vehicles were completely burnt by the fire which also damaged many buildings. Hours after the fire, an official of the traffic agency said two deaths had been confirmed. However, on Sunday morning the police spokesperson said the death toll has increased to seven.